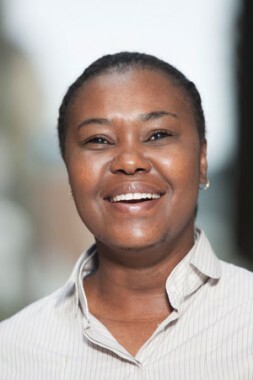 Kanyisa Runeyi joined Sonke Gender Justice in June 2008 as the Cape Town Office Administrator. Prior to that she worked for Damelin College High School for 6 years where she managed the college’s administration. She has a Diploma in Office Administration, Diploma in Manager Development, Certificate in Sales and Marketing, Diploma in Public Relations and she is working on finishing her Diploma in Business Administration and Management.